Lead Management Systems are sometimes confused with CRM Systems, which stands for Customer Relationship Management; and in Real Estate do not bare any resemblance and should not talked about the same way. A Good Lead Management System in Real Estate will be designed for the long incubation period that Web Visitors are opting for. A Lead in Real Estate is not a Customer and their silence does not mean they do not wish to work with you ? the question becomes: What are the good habits of Lead Incubation and must you purchase a $10,000 system to help with conversion? 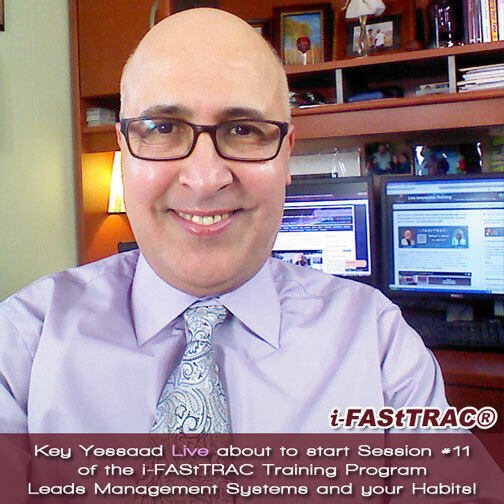 Today is Session 11 of the i-FAStTRAC Training Program and Kevin and I will be delving on this topic from not only the developing good habits, but creating good Drip Email Campaigns that have been proven to be effective.